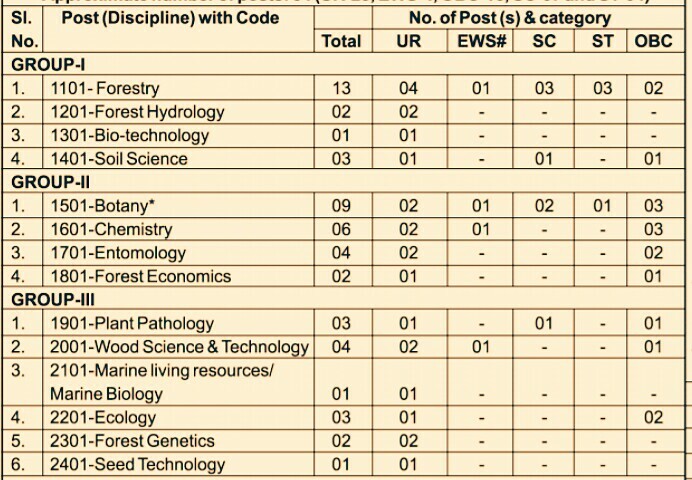 Indian Council of Forestry Research and Education, Has Recently Posted A Recruitment Notification For The Post Of Scientist-B. So Interested And Eligible People Can Apply To This Job Through Online Application Mode, From 1st Of April, 2019. Scientist -B →54 Online Vacancies. 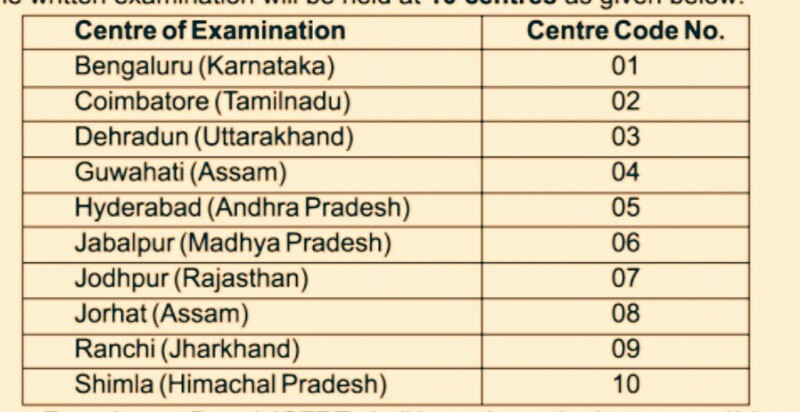 Total Number Of Vacancies →54 Vacancies, Kindly Do Check Out The Image Below For Vacancies Distribution, Name Of The Discipline/Posts, Application Fee, Examination Centre. (Credit- The Official ICFRE Scientist B Recruitment 2019). B. Eligible Criteria For Scientist Job Vacancy In ICFRE Recruitment 2019. Age Limit →21 To 35 Years, As On The Closing Date Of Online Form. Educational Qualifications →Candidates Must Possesses The Degree/Certificate In Concerned Discipline From Certified Board/University/Institute, For More Check Out The Official Advertisement Below. Mode Of Examination/Selection Process →Competitive Exams/Personal Interview. Online Application/Examination Fee →Check Out The 3rd Image. Last Date For Online Application Form Submission →15th Of May, 2019, Till 5:00 P. M.
For More Info →The Official Website Of ICFRE. Now Apply For ICFRE Recruitment 2019 Apply Online.